Are you in need of a full-time caregiver, nurse aide, companion, babysitter, or mother’s helper? 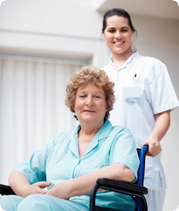 At A-1 Home Care, we specialize in a broad range of caregiving services for any duration. That is 24 hour live-in care or hourly part-time care for as long as needed. 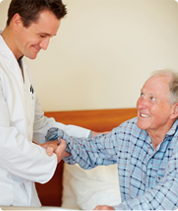 We specialize in Elder Care services such as Alzheimer’s Care, Parkinson’s Care, Diabetic Care, Arthritis Care, Incontinence Care, Cancer Care, and Hospice Care, however we also offer After Surgery Care, Respite Care, Child Care, and Special Needs Care. It’s important to find a compatible caregiver who will get along well with your loved one, which is why we provide you with caregiver interviews to find a great match. Our caregivers can assist with personal care, companionship, family status updates, and completion of daily household tasks. We serve the communities of Costa Mesa, Garden Grove, Irvine, Fountain Valley, Newport Beach, Huntington Beach, Seal Beach, Los Alamitos, and others in Orange County and Los Angeles County. A-1 Home Care is a non-medical caregiver placement agency that has been in business since 1991 and has an A+ Rating from the Better Business Bureau. All of our caregivers must have prior experience, verifiable professional references, a DMV and National Background Check, Tuberculosis testing, Malpractice/Liability Insurance, First Aid/CPR training, and a personal interview with our office staff. 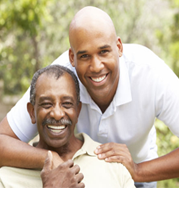 To meet a compatible caregiver in your area today, CALL us at 949-650-3800.